Craig Neiheisel is an intellectual property attorney in Dinsmore's Cincinnati office. Craig focuses his practice on U.S. and international patent preparation and prosecution and client counseling on behalf of clients of all types and sizes – ranging from Fortune 500 companies, to universities, to startups and individual innovators. He has drafted and prosecuted scores of U.S. and international patent applications that span a broad array of electrical, computer, software, and mechanical technologies. Craig’s technical experience includes control systems, embedded systems, wireless communication technologies, internet technologies, computer networking, robotics, navigation systems, speech recognition, image processing, electronic circuits, automotive, material processing, optical systems, and illumination systems. He also counsels clients to effectively navigate the intellectual property of others when bringing new products to market, such as by developing strategies to design around the patents of others. In addition, Craig routinely conducts patentability, validity, infringement, and clearance studies, as well as renders patentability, invalidity, non-infringement, and clearance opinions. In addition to his extensive patent preparation and prosecution experience, Craig has represented clients in complex multi-patent litigation relating to smartphone software, voice over internet protocol technology, semiconductor devices, and semiconductor manufacturing technology. He has patent litigation experience before U.S. federal district courts, International Trade Commission and the U.S. Court of Appeals for the Federal Circuit. Prior to joining Dinsmore, he practiced in the Chicago office of Kirkland & Ellis LLP. 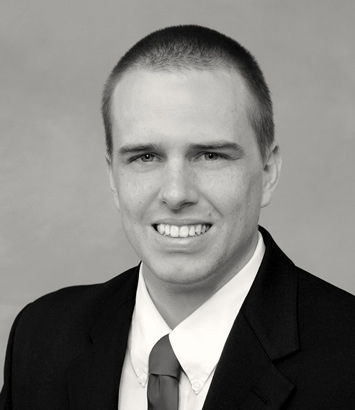 Before entering the practice of law, Craig worked as an engineering intern at GE Aviation in Evendale, OH.